I know Stefan Zweig's work was very informed by Freud. In a lighter vein, Susie Boyt's 'Only Human' is about a social worker who, among other things, is mixed up with some psychoanalysts, and Boyt is Freud's great-granddaughter. This suggestion is a bit of a stretch, obviously. Thanks -- this is kind of what I am looking for. Writers who got hold of psychoanalysis as an idea and translate it into fiction at that moment in time when it was more credible than it is now. Which one are you thinking of? Both Hermann Hesse and DH Lawrence were hugely influenced by Freud and both wrote essays on him. Can't think of any fictional accounts of psychanalysis in their work, but the influence definitely permeates their stuff at a deeper level. Maybe Georg Groddeck? I know nothing about him. If you extended this to strange prose/poetry hybrids, The Orators by Auden would be there, I think. Groddeck sounds interesting, if I can find anything. Since Musil is about everything, he would have a bit of Freud in there, too. I've heard good things from a colleague about Mishima's 'The Music' too, but I don't actually think there's an English translation. That sounds enticing! I’ve been meaning to check out her collected short stories for a while. Yeah same. I bought her novel and then decided I wanted to read the stories first so got it from the library. I’m on the first collection and love it absolutely. Pat Barker, Regeneration, about the pioneering use of psychoanalysis to treat shell-shocked first world war soldiers. Based on real events and a very compelling mix of history, psychology, and politics. There are two sequels but they're less historically grounded, more fictional, heavier on the psychoanalysis. I don't rate them as highly but ymmv. Jonathan Lethem: GUN, WITH OCCASIONAL MUSIC (1994): Freudians are the equivalent of Jehovah's Witnesses. he was certainly interested in psychology and that's reflected in the work. 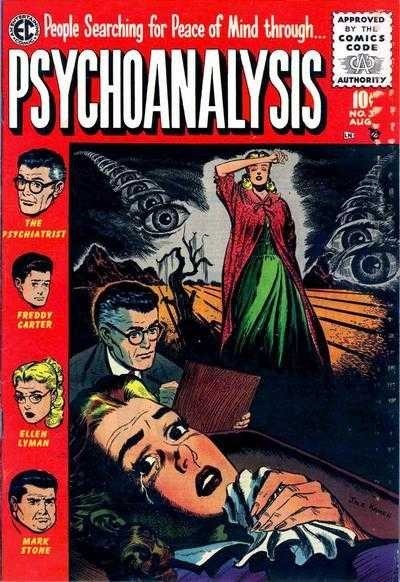 And while characters are always psychoanalyzing each other, I can't think of a single appearance of an actual professional psychoanalyst, and it's p clear that he generally distrusted it as a sham, or a racket to be manipulated. Haha ah. I guess that’d fit with the whole anti-psychiatry movement of around that time. There are way fewer positive depictions. Regeneration (as mentioned above) is quite an anomaly in that regard. If I remember right, Dr. Egon Superb is depicted sympathetically. I bought the first book in this thread because it was the only one of these that the bookshop stocked, and the preface amused me and answered the questions I had reading the blurb (What psychoanalyst would ever recommend writing a diary?). I'm excited to start reading fiction and not pure psychoanalysis in two days' time when my course ends.